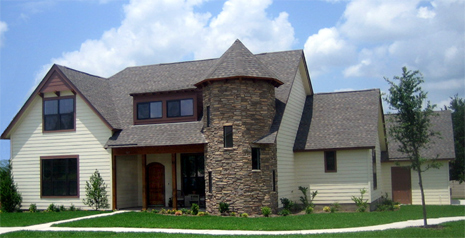 Rothenberg Homes is a builder that creates unique residences with flare and style. We also offer other services including custom floor plans, restoration, renovation and additions, rendering, marketing brochures and consulting. Are you tired of homes that all look the same? Are you interested in a distinctive floor plan or looking to build a custom home with true character? Rothenberg Homes can help you design and build the new home of your dreams. We can build on your lot or help locate one for you. We currently have homes available in Georgetown Village, Georgetown, Texas (near Austin). Click here for more information. Your home's architecture is one of its greatest assests. Rothenberg Homes is suited perfectly to meet all of your construction needs, including an architect and certified realtor on staff. Let us show you what we can do for your custom house. Rothenberg Homes is part of the Rothenberg Group. For more information, please visit www.rothenberggroup.com. ©2008 Rothenberg Homes. All Rights Reserved. Web site by Steellight Design.